but some of us like to have o.e.m. 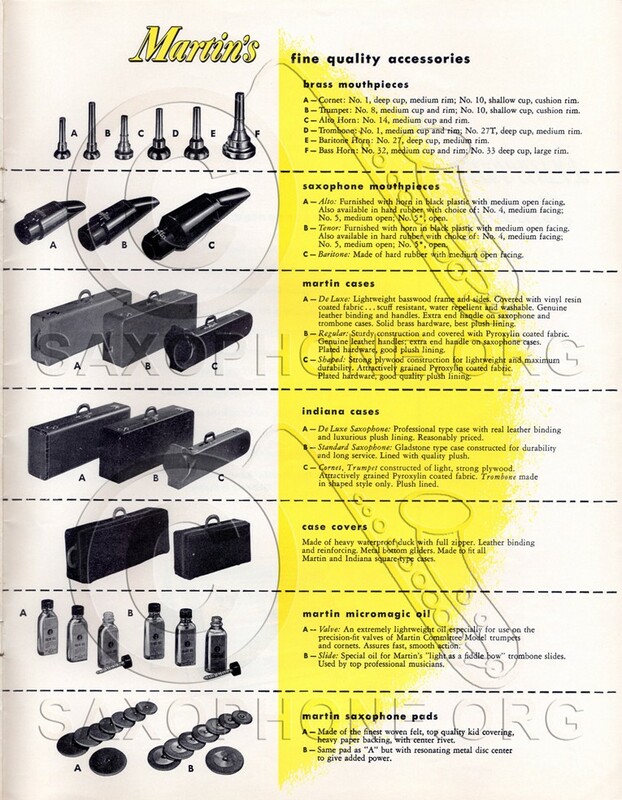 mouthpieces to "go with" our vintage instruments (even if we don't "like" those o.e.m. mouthpieces). I'll be keeping an eye on this one. SousaWarrior9 wrote: I'll be keeping an eye on this one. I like the experience i got with a 33 before. This one has a different outside than the ones i recall, so i am wondering if it might be a later martin, approaching the rmc days? Or mayhap an earlier one? I may also be confusing it with 32s or 34s, but i don't think so. The profile matches the one shown in this 1948 catalog page. It doesn't match the one shown in this old post by Paul Scott. Were I to guess, I'd say the one on eBay is the older of the two. The newer ones are the ones that look like half spheres. This is an earlier one. Thanks for the wisdom. I woulda guessed the other way round, and i guess i woulda been wrong. I know this is too little too late, but i finally dug up a Martin 33 for a photo op. Probably can get my hands on a less beaten up one with the same sort of outside shape. And the Martin 32s i have seen were like the domed one in the post referenced above. And i am too lazy to dig it up, but Lost's thread about cleaning up mouthpieces had a link to Oberloh's thread with pictures of cleaned up Keefer mouthpieces. Long way to go but, i just wanted to say the most rewarding matching of makes on mouthpiece and tuba for me was in fact a Keefer 8. And particularly rewarding because the shank is an unusual taper. These martin mouthpieces weren't good for me at all, even on martin horns.